ThirdAGERS, alert your younger loved ones and friends to this important finding! A 2016 national survey by Ronald Reagan UCLA Medical Center in Los Angeles showed that patients under the age of 45 may underestimate the urgency of stroke symptoms and most say they would likely delay going to the hospital for help. Yet the initital three hours after a person experiences the first symptom of a stroke is often referred to as the “golden window.” That’s the period of time doctors say is crucial for patients to get to a hospital to receive medical care in order to restore blood flow to the brain and minimize or reverse damage. 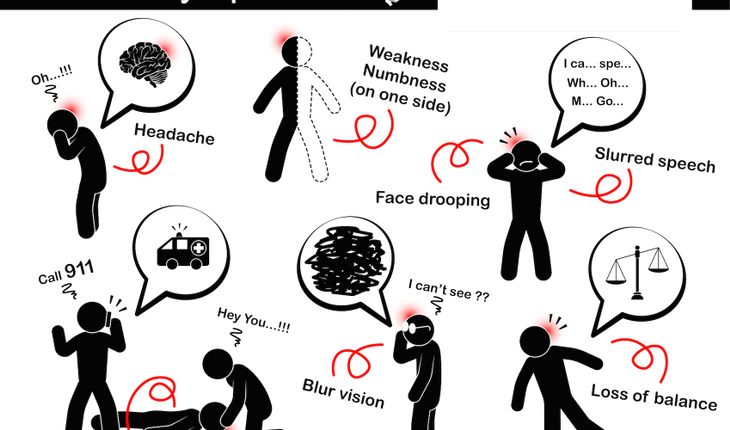 The release notes that the researchers asked more than a thousand people nationwide what they would be likely to do within the first three hours of experiencing weakness, numbness, difficulty speaking or difficulty seeing, all common symptoms of a stroke. Among those under age 45, only about one out of three said they would be very likely to go to the hospital. A staggering 73 percent said they would likely wait to see if their symptoms improved. In fact, since the mid-1990’s, the number of young adults between 18-45 discharged from U.S. hospitals after suffering a stroke has jumped as much as 53 percent. It’s estimated someone has a stroke about every 40 seconds in the U.S., totaling nearly 800,000 new stroke patients a year. Tests showed Reilly’s stroke was caused by a rare condition called moyamoya that slowly causes certain blood vessels in the brain to narrow over time. Most patients, about 85 percent, suffer what are known as ischemic stroke, during which arteries in the brain become blocked, cutting off oxygen. Ischemic stroke can happen to anyone at any age, and is often associated with high blood pressure, diabetes, smoking and obesity. “The good news is, there are steps we can take to lower our risk of stroke,” said Liebeskind. A healthy diet and regular exercise, as well as not smoking and limiting alcohol consumption, have all been shown to lower your risk of stroke.